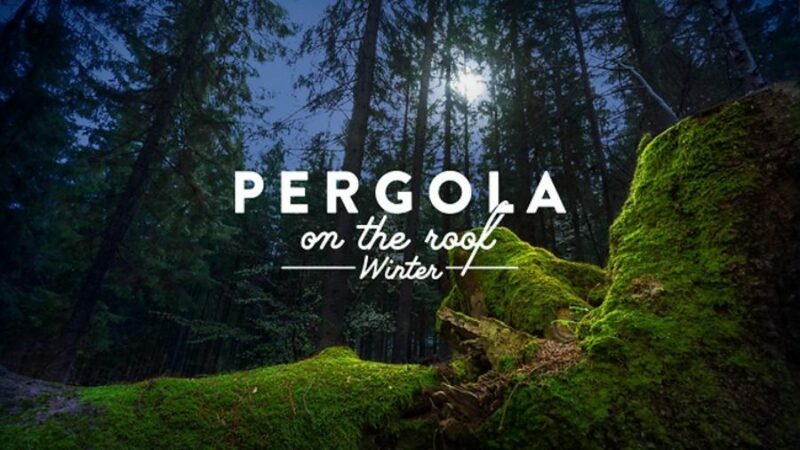 From November 3rd - 23rd December, Pergola on the Roof - London’s most renowned rooftop dining experience will be returning to White City to completely transform the top of Television Centre into this winter’s enchanting Nordic Winter forest, with four exciting partner restaurants to be revealed. The 600 capacity venue will be redesigned as a warm and cosy hide-out in the Scandinavian wilderness, protected from the elements in a clear-walled, weatherproof dome, where guests will be sheltered from the second they join the queue. After an incredible summer of success, in which 92,000 guests visited the rooftop’s pergola, booking out the venue solidly for an entire 12-week period upon opening, Pergola on the Roof will open its doors to reveal a majestic, evergreen entrance of 18ft spruce trees under a rain-proof canopy. 100ft above West-London’s skyline, the once white-washed walls will be replaced with decadent burgundy, complimented by a deep-bark forest flooring, dark oak table tops and an extended solid oak bar, with the addition of a thick growth of holly, ivy and delicate winter flowers on the pergola to complete this idyllic winter scene. Pergola on the Roof will once again be welcoming a selection of London’s much-loved restaurants to nestle in together in this tranquil winter scene, serving up a range of their truly exciting, bespoke dishes. Returning after a successful summer run, Patty & Bun will resume its spot on this site, joined by three of London’s most gastronomically innovative food partners – London’s only Danish Restaurant Snaps & Rye, Spitalfields’ home-style, Indian kitchen Gunpowder, and creators of Middle-Eastern and Asian gourmet kebabs Le Bab. Visit pergolaontheroof.com for bookings and further information.